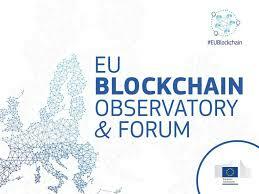 The EU Blockchain Observatory and Forum (EUBF) – the body that Brussels has set up to scrutinise all things Blockchain – says Digital Identity and distributed ledger are actually inextricably linked… but in a way that not all of you are going to care for. That’s because its latest report, Blockchain For Government And Public Services, the group states for Blockchain to realise its “potential within government institutions”, public sector policymakers must focus on using the technology to build two things: digital identity systems, and digital versions of their national currencies. In essence, that would mean that Digital Identity should be a prerequisite before any future institutional blockchains are developed. Why: because Blockchain could provide a platform on which everyone has a trusted Digital Identity that would be “user-controlled” and “sovereign”. Shared ledgers could be used to combat tax fraud and streamline how taxes are calculated and collected, as well as how governments manage their own expenditures, whether in procurement, entitlements oradministration. Blockchains can also help increase efficiency and reduce costs in government operations, the report states. Some observers might conclude that means that for Blockchain and Digital Identity to “work”, they’d have to be owned by the state… but then, one might argue that the job Facebook has been doing with our data – maybe we should think about it.